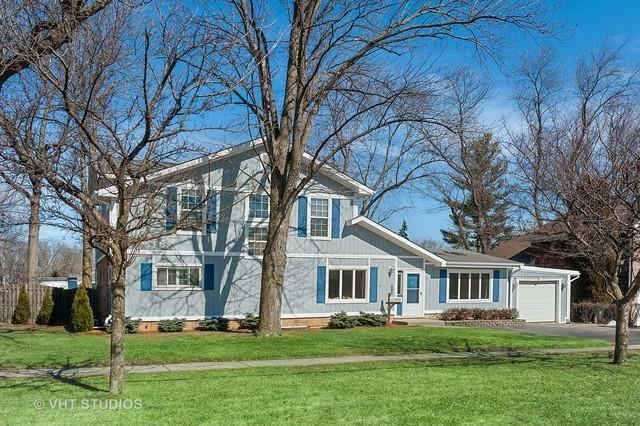 OUTSTANDING EXPANDED CUSTOM 2-STORY WITH MANY UPDATES CLOSE TO EVERYTHING! MODERN INTERIOR COLORS, HARDWOOD FLOORS, RECESSED ACCENT LIGHTING, BRIGHT AIRY OPEN FLOOR PLAN, REMODELED KITCHEN W/42" WHITE CABINETS, GRANITE COUNTERS, TILE BACKSPLASH, & SS APPLIANCES, BEAUTIFULLY REMODELED TILE BATHS W/NEW VANITIES & LIGHTING, SPACIOUS FAMILY RM/DINING RM W/DRAMATIC VAULTED CLG & SKYLIGHTS & SLIDERS TO PRIVATE FENCED YARD W/NEW BRICK PAVER PATIO-IDEAL FOR OUTDOOR ENTERTAINING! SENSATIONAL 2ND FLOOR MASTER SUITE W/VAULTED CLG, WALK-IN CLOSET, & NEWLY REMODELED LUXURY MASTER BATH W/JAC. 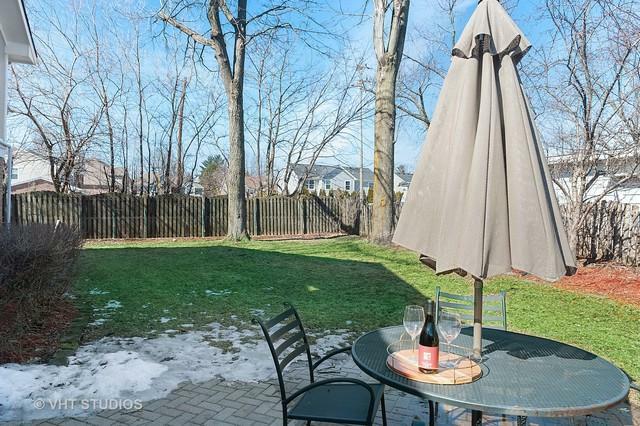 TUB & SEP SHOWER, BRIGHT OPEN LOFT AREA, FINISHED BASEMENT WITH CUSTOM WET BAR, ADJ. OFFICE & 1/2 BATH, ZONED MECH'S, NEWER WINDOWS, & EXCEL. CLOS/STORAGE SPACE. 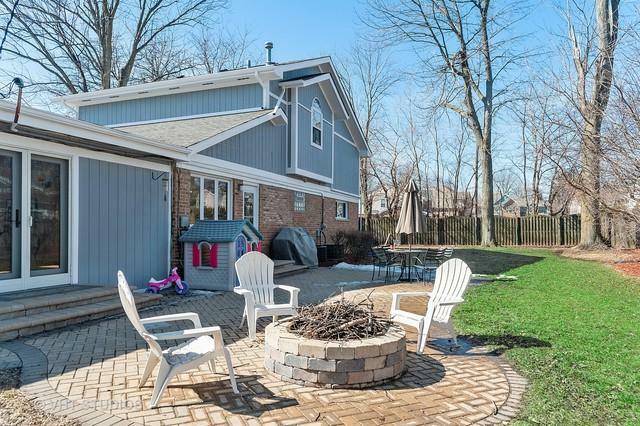 HOME LOCATED CLOSE TO PARKS, AWARD WINNING SCHOOLS (PATTON/THOMAS/HERSEY), METRA, & HIGHWAY. HOME WARRANTY INCLUDED. JUST MOVE IN AND ENJOY. A MUST SEE! 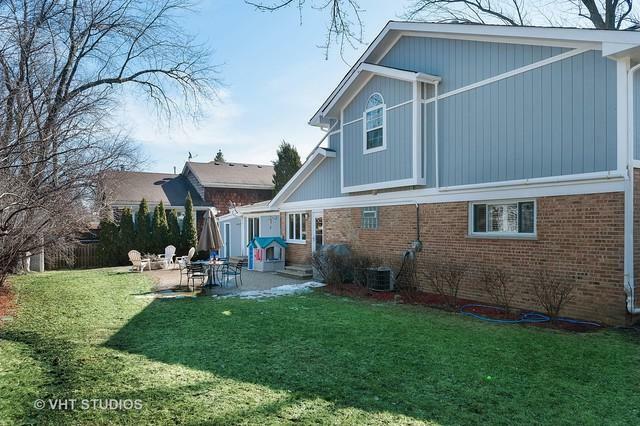 © 2019 Midwest Real Estate Data LLC. All rights reserved. IDX information is provided exclusively for consumers' personal, non-commercial use and may not be used for any purpose other than to identify prospective properties consumers may be interested in purchasing. Information is deemed reliable but is not guaranteed accurate by the MLS or Mark Bowers Team at Berkshire Hathaway HomeServices Snyder Real Estate. The data relating to real estate for sale on this website comes in part from the Broker Reciprocity program of Midwest Real Estate Data LLC. Real Estate listings held by brokerage firms other than Mark Bowers Team at Berkshire Hathaway HomeServices Snyder Real Estate are marked with the Broker Reciprocity logo or the Broker Reciprocity thumbnail logo (a little black house) and detailed information about them includes the names of the listing broker. Some properties which appear for sale on this website may subsequently have sold and may no longer be available. NOTICE: Many homes contain recording devices, and buyers should be aware they may be recorded during a showing. Data last updated: 2019-04-23T13:53:24.03.